Money makes the world go round. Right? Over the last years, our hometown Hamburg has established a flourishing Fintech scene whose players are pushing innovation forward. 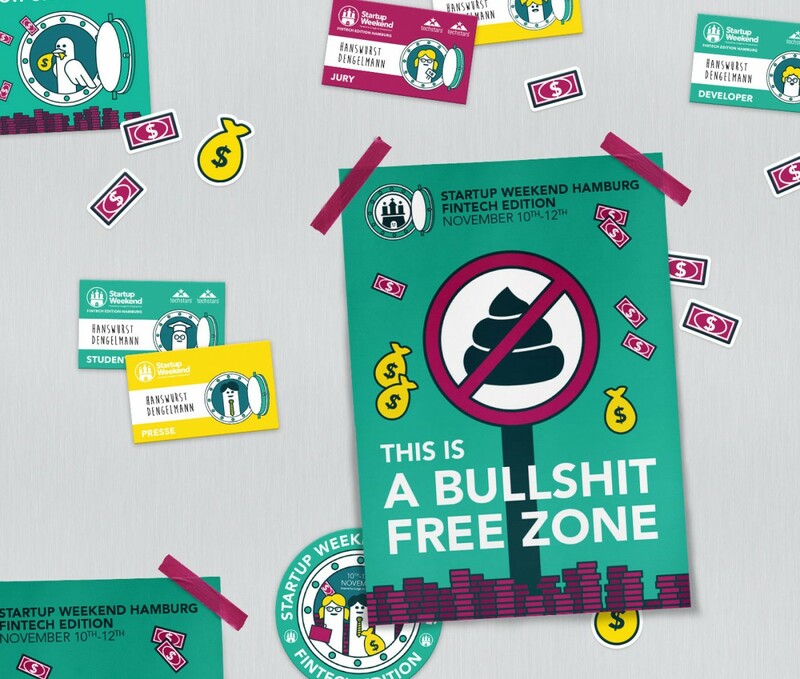 That’s why, as part of the Fintechweek 2017, a special Startup Weekend Edition focused on all things finance. 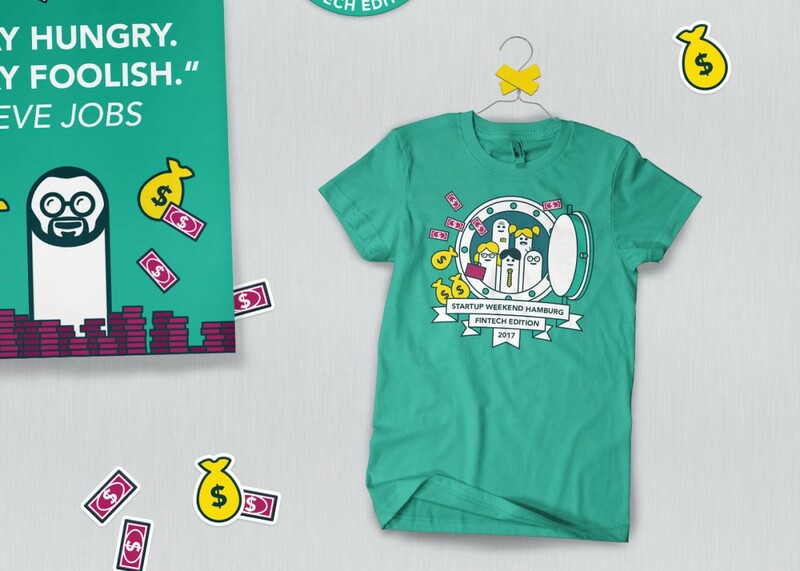 The design we developed for this Startup Weekend was so much fun to create. 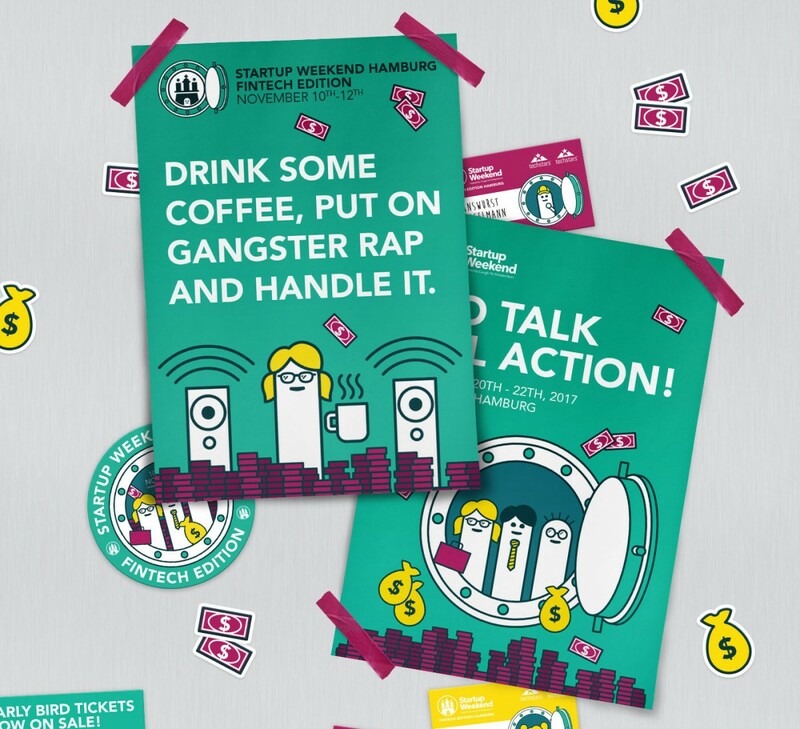 We played with bold illustrations and funny quotes – and transferred them onto flyers, merchandise, all kinds of print material and signage.